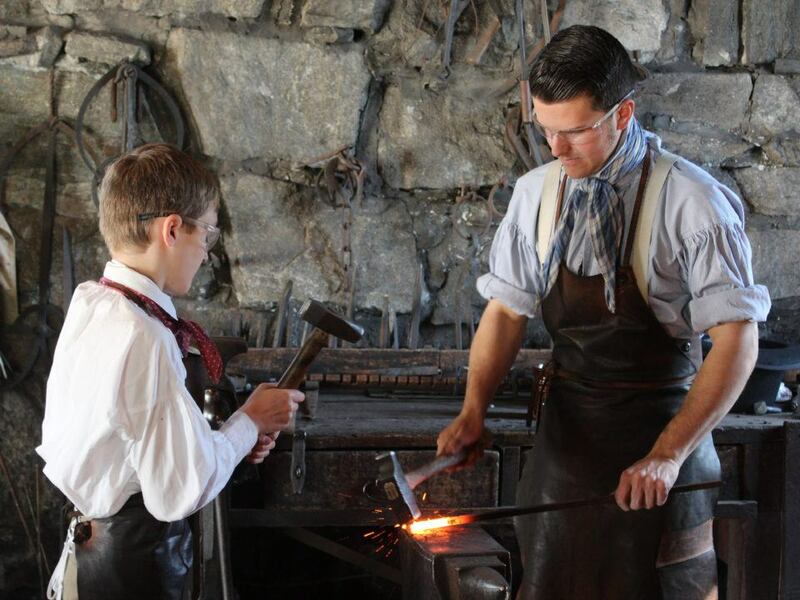 Old Sturbridge Village will be open daily February 16 – 24 from 9:30 am to 4:00 pm. Take advantage of the quieter winter season to talk with our knowledgeable costumed historians in the Pottery Shop, Tin Shop, Blacksmith Shop, the Freeman Farm, and more, listen to stories and poems from days gone by, and enjoy the winter scenery at the Village. February school vacation week is also a good time to plan ahead for April school vacation week! Learn more about April Discovery Adventures for kids age 6-14 here.